South Africans are embracing online shopping, with fashion retail and food delivery services specifically showing enormous promise. Grocery shopping, on the other hand, remains largely a physical activity with fresh produce posing a significant online barrier. Most shoppers still prefer to hand-select things like meat in-store to avoid getting disappointed when inferior cuts turn up at the door. But what if superior quality can be guaranteed? Buyfresh founders Asher and Gene Stern. 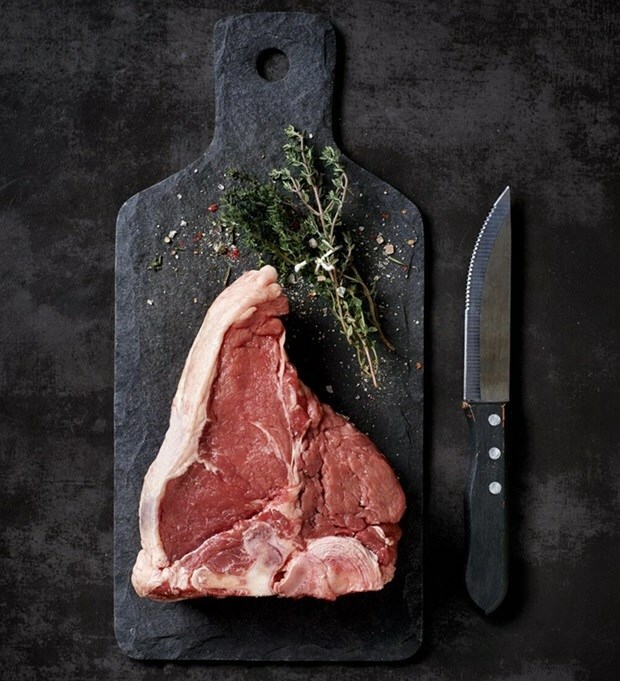 Enter Buyfresh, an online butchery delivering ethically-sourced, top quality meat at affordable prices to discerning Cape Town omnivores as well as the city's restaurant trade. 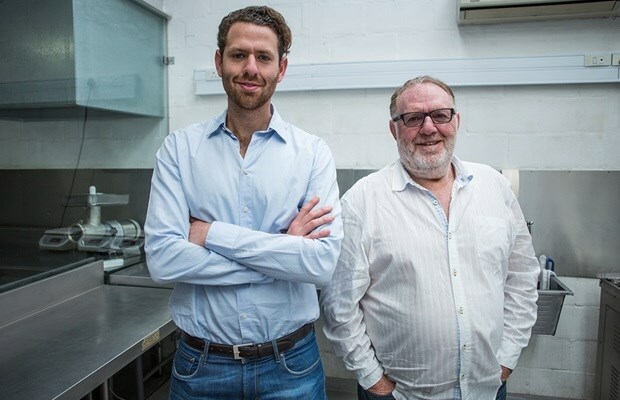 The online startup is the brainchild of budding entrepreneur Asher Stern and his father Gene, who has been in the business of supplying Cape Town restaurants with their meat for more than two decades. 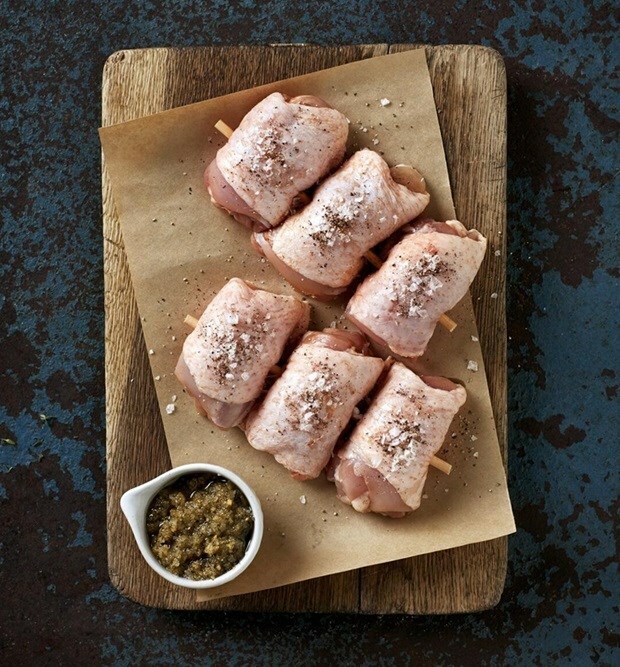 Buyfresh sources its meat and poultry products from trusted farms around South Africa, and currently, 90% of its offering is free-range. 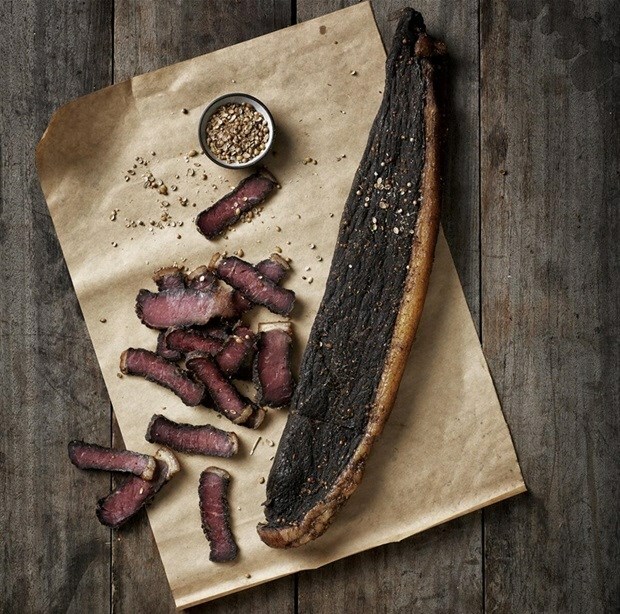 The menu includes masterfully-spiced biltong that's cut from A-grade silverside and topside, sow-friendly pork, free-range and grass-reared lamb from the Karoo, and beef that's matured for an average of 25 days. The company, which offers same-day delivery, also recently added a pantry range of artisanal products like rustic marinades, tangy mustards and spice mixes to help bring out the best flavour in the produce. We recently spoke to Asher about the inspiration behind Buyfresh, doing business with his dad, and their goal to literally deliver quality meat you can trust. Can you tell us a bit about your background prior to the creation of Buyfresh? Prior to launching Buyfresh, I worked for a boutique corporate advisory firm called Balkin & Co in Cape Town. I held the position of private equity analyst, where I assisted in various roles in transactions for local technology-enabled businesses. This was a great learning experience for me and I had an incredible opportunity to work closely with the founders and the senior management of these businesses. What inspired the launch of Buyfresh? From a young age, I was passionate about technology, entrepreneurship and business. I would always bounce ideas with my dad, about how we could grow his meat and poultry distribution business. My dad has successfully been supplying top restaurants in Cape Town for the last 25 years. I then got my first taste of working in a startup environment during an internship at Groupon. It was through this experience that I decided to pursue a path less travelled by many Business Science graduates, away from traditional corporates. Through my experience at Groupon and Balkin & Co, I saw an opportunity to take a traditional business model, like my dad’s business, and optimize it through implementing technology and systems to create a modern customer experience and streamline operation. Buyfresh is the start of this journey, connecting discerning customers to high-quality and affordable fresh products. Can you explain your offering and where your products are sourced from? Through the deep experience that my dad has gained over the time being in business, he has managed to solidify an unbelievable supply-chain of high-quality meat and poultry products. With the launch of Buyfresh, we increased the depth and quality of our product lines, to include products that you wouldn’t find in your local supermarkets. Currently, about 90% of our products listed are of free-range and ethically sourced nature (free-range chicken, free-range beef & biltong, certified Karoo lamb and sow-friendly pork). These products are sourced from smaller farms in the Western Cape, Eastern Cape and Natal. The other 10% relates to our Chef’s Choice, grain-fed beef product line. These products come from a farm in Johannesburg. In your experience, what are the main benefits of operating solely online? By operating online, we are able to reduce the costs of operating our business dramatically. By implementing technology and utilizing third-party infrastructure, we are able to pass significant value to our customers. We are proud to be able to say that we are up to 30% cheaper than national high-end supermarket chains on some of our comparable product lines, with better quality products. In time, we expect to bring more efficiencies to our supply chain and pass even more value on to our customers. Your offering focuses on providing consumers and businesses with “quality, hand-selected meat and poultry”. What are the benefits associated with the consumption of ethically-sourced meat? 'Ethically sourced' has become somewhat of a buzzword, we like to keep the definition of the term simple. We classify our products as ethically sourced, because the farmers that we work with rear their livestock in a traditional sense, where they put a lot of love and care into raising their herds. Their livestock are pasture reared and are not given growth hormones or routine antibiotics. In addition to these practices, our farmers must be certified by SAMIC (South African Meat Industry Company), who maintain stringent governance processes at the farm, abattoir and butchery to ensure that the supply chain of these products is transparent and audited. The key benefits of consuming these products include better health, as the animals only consume grass and are not administered with growth stimulants or other routine injections. There is also a more favourable impact on the environment, with a lesser contribution to the carbon footprint. We are confident that in time and once the infrastructure for these processes have been further developed by our local farmers, that we will move to only selling ethically sourced products to our customers. Right now, there is a notable price difference between the two beef product lines. We think it is important to be able to service customers that still want high-quality products, but have different preferences and budgets. Do you think your father-and-son dynamic benefits the business in any particular way? I think it adds tremendous value to Buyfresh. Besides all the deep knowledge and experience that he brings to our new venture, we are both obsessed with providing a high-quality service to our customers. Our customers really notice our attention to detail and willingness to go the extra mile. What have been the main challenges you’ve encountered on your startup journey? I would say changing consumer behaviour has been one our main challenges for Buyfresh thus far. The e-commerce market in South Africa is relatively small, even though there have been some encouraging signs of growth. Consumers are used to going to their local supermarket or corner butchery to do their weekly shop. Breaking this habit, and getting consumers to experience our service and products for the first time is one of our main objectives over the course of the summer. What’s next for Buyfresh, and what is your ultimate vision for the company? For Buyfresh, we wish to continue all the good work and sentiment that we are building around consumer trust and improving the high-quality service that we offer in Cape Town. We have ambitions to scale the business nationally, with Gauteng being the next market. The long-term vision that we have for the business is to connect households and SMEs with high-quality products, affordably and more efficiently. We aim to build a marketplace that encourages growth for businesses like my dad’s, as well as other similar entities, farmers and producers. Hungry for more? Shop Buyfresh online and connect with the brand on Facebook and Instagram.